Prosegue la campagna promossa dall'UNESCO sulle reti sociali in difesa del patrimonio subacqueo. Di seguito, la nuova immagine virale, e il testo ufficiale allegato. Ancient shipwrecks and sunken ruins are spectacular dive sites, and should be enjoyed by as many people as possible. 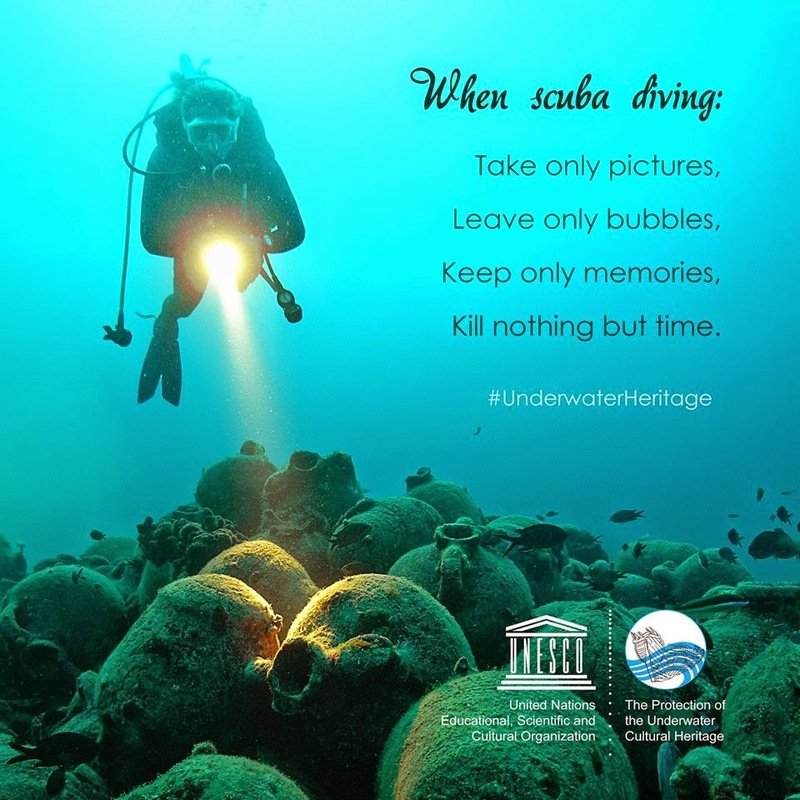 However, as a diver, just remember that this heritage belongs to everyone, so please respect and protect our shared heritage! If you think you may have discovered a new site or artefact take pictures, documents its location, make notes and alert the responsible authorities. Who knows, you might just have made an important archaeological discovery!